Ryan Fogelman, Jeremy Dusing and Pete Marry accepting award for the Fire Rover fire detection and elimination system. "Once again, the winners created innovations that are revolutionizing industries and becoming indispensable. 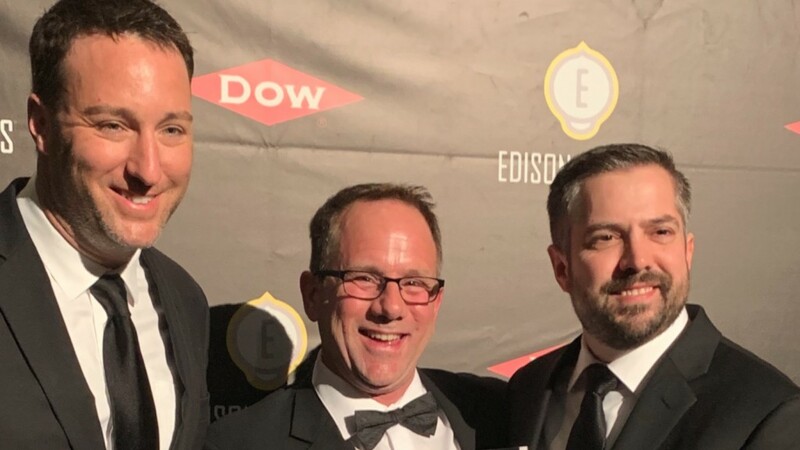 One of the game-changing winners Fire Rover was recognized as a true innovator in Industrial Safety," said Frank Bonafilia, Executive Director of the Edison Awards. Established in 2015, Fire Rover was developed to focus on the initial minutes before and after a fire incident can occur ensuring that an incident can be dealt with safely as possible protecting employees, businesses and fire professionals.